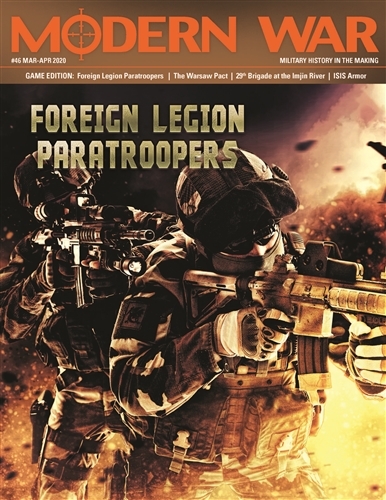 Foreign Legion Paratrooper is a solitaire wargame. The player controls the French forces. The game system controls various Opposition Forces (OPFOR). The game is played in missions (or scenarios). You can link the various missions into a larger campaign game. 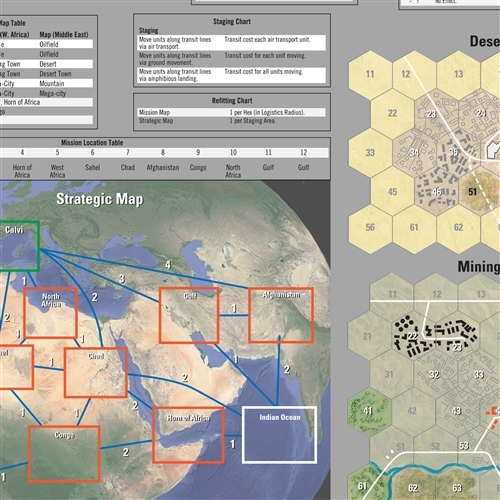 It is recommended that you first play a couple of games before playing a campaign game. While the game is designed as a solitaire game and requires only one player to play. The game can also be played by two or more players, each controlling different parts of the REP. Each turn equals anywhere from 12 hours to one week. 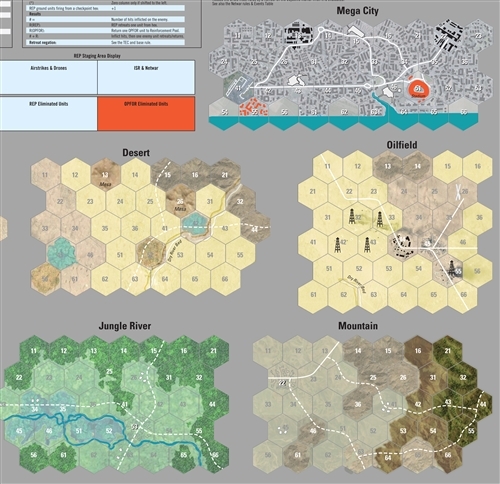 Hexes on the Mission Map are anywhere from 0.5 to 5 kilometers across. A platoon is 30-60 soldiers. OPFOR units represent anywhere from 10 to 1,000 fighters.